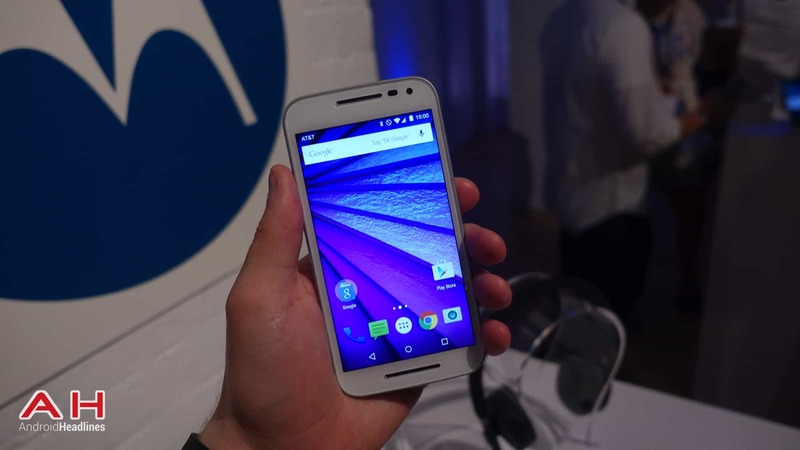 With all of the leaks, it was close to impossible to miss the new Moto G (2015) third-generation, which debuted today. It is preparing to launch in 60 countries and Canada will receive its new version on Friday, July 31 – it will mostly likely cost $0 on a two-year contract, but the carriers will hit you up for $199 CAD to purchase the Moto G outright on Bell, Koodo, Telus, Virgin Mobile, with Wind Mobile launching in the near future. The Canadian version is coming in with 1GB of RAM and 8GB of internal storage, although it does have a microSD card slot to expand the internal memory. There is also a 2GB of RAM and 16GB model being made, but for an entry-level device, Canada is going with the lesser model. Motorola keeps amazing us by how much they can squeeze into a new phone and yet keep the pricing down. The new Moto G comes with improvements in almost every area – build quality, camera area and battery life. It starts with an all-metal frame for structural strength and is highly customizable using Moto Maker, as well as new snap-on colored backs that are easily changeable depending on your mood that day. They added an IPX7 certification that allows the device to be submerged in 3 feet of water for up to 30 minutes. Motorola is offering quite a few features for an entry-level device. The Moto G sports a 5-inch LCD HD display with a resolution of 1280 x 720 pixels and 294 pixels-per-inch (PPI). A Qualcomm 64-bit Snapdragon 410 quad-core processor clocked at 1.4GHz provides the brains. There is a 1GB/8GB and 2GB/16GB model available – the 1GB/8GB will be sold in Canada – with a microSD slot for expansion. The main camera is 13MP with a dual-tone LED flash and an f/2.0 aperture. The front-facing camera (FFC) comes in at 5MP and it includes the f/2.0 aperture as well. Powering the Moto G you will find a 2470mAh battery that should easily power the device a full day. The Moto G measures 142 x 72.4 x 12.2 mm and weighs in at 155 grams. It sports NFC, Wi-Fi, Bluetooth and will be running almost vanilla Android 5.1.1 with a few of Motorola’s add-ons, such as Moto Display, Quick Capture and Quick Flash. Motorola stresses the quality, speed and stability in their devices and it is nice to see that so far, Lenovo has not interfered with the Moto philosophy. The post Moto G Headed to Canada 7/31 For $199 CAD appeared first on AndroidHeadlines.com |.